The end of the New York Toy Fair, marks the end of the crazy toy fair season, and sets the tone for new toys and games hitting the shops later this year. Here at Tech Age Kids, we're really excited to see the trends in toys and play include TECH toys (drones, robots and toys-to-life), STEAM toys (Science Technology Engineering Art and Math), ULTIMATE CREATOR (craft and create your own toys) and FAMILY MATTERS (drawing families together through play). The New York Toy Fair is immense with 1000s of toys companies showing off their products for this year. We've put together a list of our favourites from the show. There was quite a lot in the building category, both in terms of new products and new sets for old favourites like LEGO and K'Nex. Everyone is always very excited to see what the new LEGO sets will be for this year, notably these will include new Star Wars building scenes and buildable characters. There's also new sets for DC Universe, Marvel, Minecraft and brand new Angry Bird sets for the upcoming movie. Arckit looks like a fantastic modular system allowing you to design, build and modify structures. The components doesn't require glue and are completely modular, which means young architects can see their dream buildings come to life in 3D much quicker can other building blocks or bricks. Update: See our ArcKit review. IO Blocks® came on the scene last year, and we like their strong digital connection with pixelated design and puzzle-like pieces. Now Guidecraft have a new mini version which is a quarter of the size of the award winning IO Blocks® open-ended building toy, whose 12 unique shapes are inspired by the digital world’s 8-bit pixelated design. There's also an app for both Andriod and iOS and targeted at age 5+. The IO Blocks® Vehicles, also new for 2016, is an extension pack for the classic IO Blocks® allowing you to build planes, boats and cars. We just love the pixelated design and fantastic problem-solving qualities of this building system. 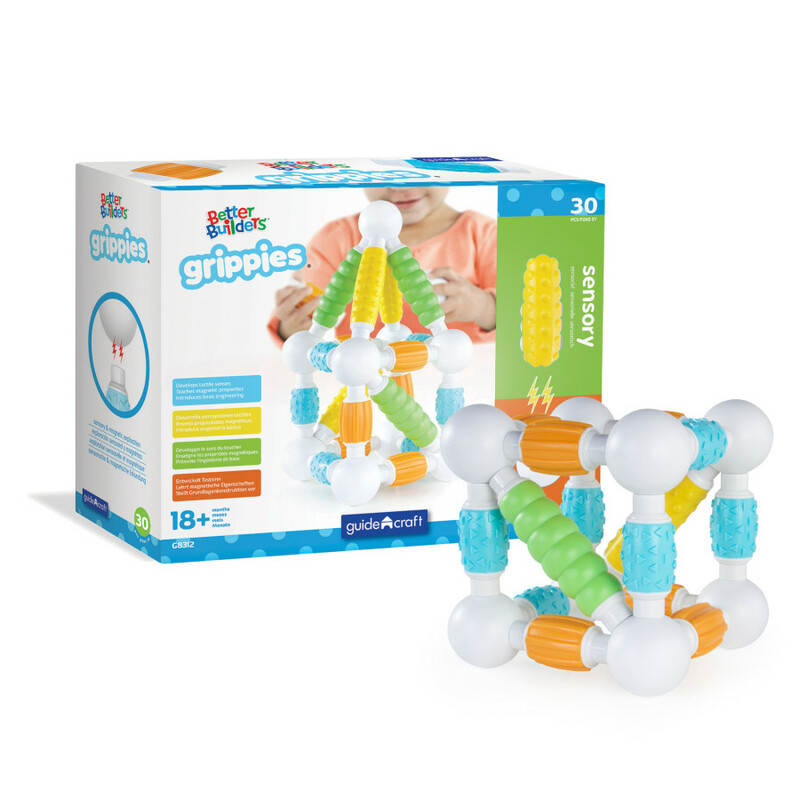 A new entry by Guidecraft, we love this magnetic toy for babies and toddlers. It's tactile, it's safe and it's fun. 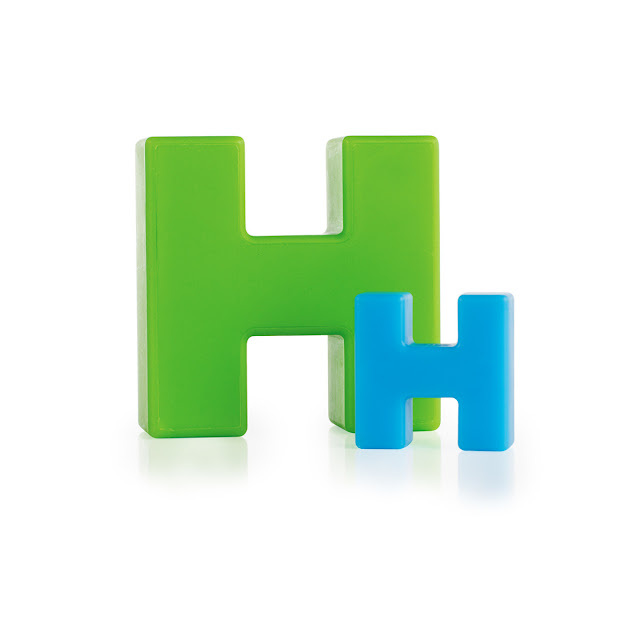 The set is aimed at 18 months + and provides an introduction to magnetic play and simple building and shapes. There are several sensory designs for a child to explore. Wonderhood is another new building system, with girls in mind, to engage their scientific and creative side. We do like though that Wonderhood says "We believe everyone can benefit from and have fun with Wonderhood toys; girls, boys, and grown-ups included!" The building system is made up of brightly designed panels that slot together with plastic pieces. There's also fun pieces like stairs, a working elevator, clock tower and figurines. There were a few things that caught our eye in educational STEM toys and electronics, some are new kids on the block and others are new kits of favourites we already love. MakerBloks are electronic components that click together with a magnet to teach children about electric circuits. What we really like, is their use of a digital activity book to engage children in a fun and meaningful way. Kids build with the blocks and learn with a story. Each block represents a real life electronic component and the digital book brings each character to life. Unlike real electrical components, these are safe for kids to play and learn. Aimed at 6+ they are available for pre-order online. 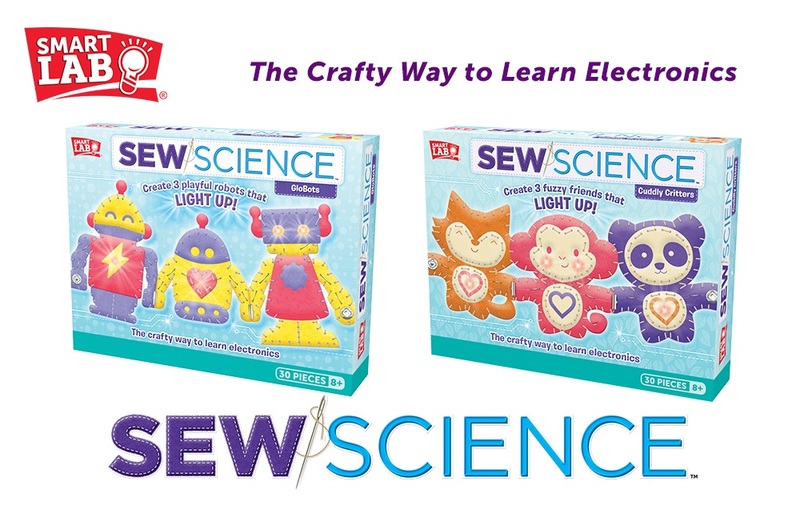 We've been looking for sew kits like the new Sew Science Kits from SmartLab Toys. These are fun sew projects with electronics for kids. Aimed at 8+ each Sew Science kit comes with a plastic needle and precut felt pieces to stitch together, making assembly easy, safe, and fun. Sew Science kits also include the LED lights, batteries and conductive thread needed to complete the circuit. 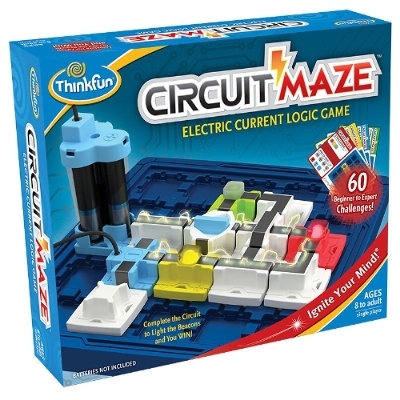 Circuit Maze by Thinkfun is an electric current game helping players understand electricity safely, and develop sequential logic and reasoning skills by allowing them to create real circuits. Circuit Maze is a single player game aimed at 8+ and takes the player progressively through more challenging levels as their knowledge and skills grow. It looks like a really fun and safe way for children to learn about electricity as well as solve puzzles and learn logical thinking skills. This is definitely a game we'll be looking out for our families. Motorblox Vehicle Lab and Robot Lab are fantastic new robotic moving additions to your LEGO sets. A bit like snap circuits, in that you have all the components to complete a variety of electronic projects, the Smart Circuit Games and Gadgets Lab, looks like another interesting educational toy to introduce children to electric circuits. Barbie from Mattel has gone through quite the transformation with new figure sizes and skin tones, she's also being used to promote STEM subjects in a brand new line of products made with Thames Kosmos. 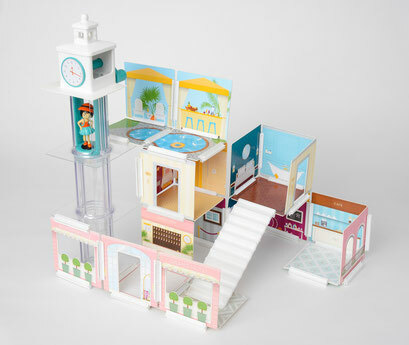 The kit includes plastic building pieces and science experiment materials, as well as a Barbie doll, to create a complete experience based on the concept “You Dream It… You Make It!” From math and science to biology and chemistry, each kit is built to “Barbie-Scale” and meant to be compatible with the original Barbie Dreamhouse. Be sure to see Barbie set out of her Fashionista comfort zone, into a brave new world of Science, Technology and Maths in 2016. Robot Mouse from Learning Resources reminds us a bit of BeeBots with an updated design. Children use directional buttons on the mouse, just like on BeeBots, to programme the mouse to accomplish tasks. 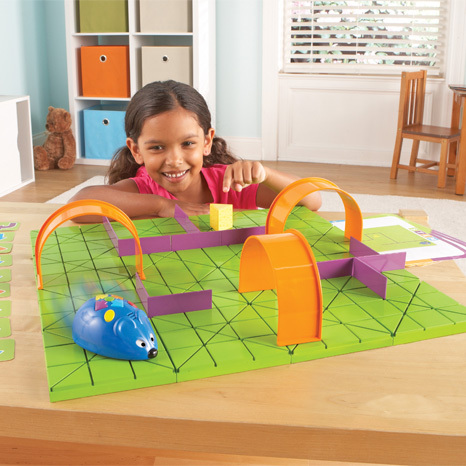 The set comes with a mat and additional items, like tunnels, walls and coding cards. It's aimed at primary school kids and provides an introduction to basic logic, step coding. MU is an artificial upgrade to your toys. It's probably our most interesting find at the Toy Fair (we missed it's debut at CES 2016). Mu is a smart toy, a sensor add-on that acts as a smart eye and brain for your existing remote controlled toys, like LEGO, Hexbug, LEGO Mindstorms. They company Morphx Inc. is currently raising fund on Ingigogo to bring the product to mainstream market. You can back their campaign here. This is probably one the most interesting toys to make a come back. Mattel has taken its "ThingMaker" from the 60s and given it a Tech Age upgrade, bringing to market a consumer 3D printer for kids to design and print their own toys. No you won't yet be able to print Barbie, but with the ThingMaker app, Mattel shows how you will be able to print various articulated figures and wearables. It is not clear at this stage whether only ThingMaker filament will work with the 3D printer (which could make it rather expensive). The ThingMaker is set to retail at $300 and promises to bring 3D printing to the home market. 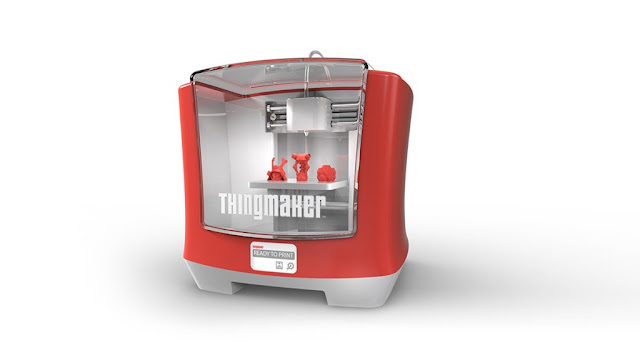 You can already download the ThingMaker 3D Design app from ThingMaker. We were really pleased to see one of our favourite robots, Meccanoid G15, by Spinmaster win Innovative Toy of the Year. There were also lots of other innovative toys we've seen already at other shows which are still worth a mention namely, KamigamiRobots, MakeBlock, Bloxels, and 3Doodler. It turns out 2016 is going to be an exciting year for us at Tech Age Kids, as we focus on STEM and TECH toys that help FAMILIES PLAY together, be that indoors or outdoors, and most importantly CREATE together.